Hamish shown in Rose Quartz, Moonstone, Verdite, and Greta jewel glass caught the eye of the Happy Interior Blog as seen in 5 Happy Inspirations: Autumn Hues. Thank you to Happy Interior Blog for featuring our work. Connect with Happy Interior on Facebook by clicking here or follow @IgorJosif on Twitter. 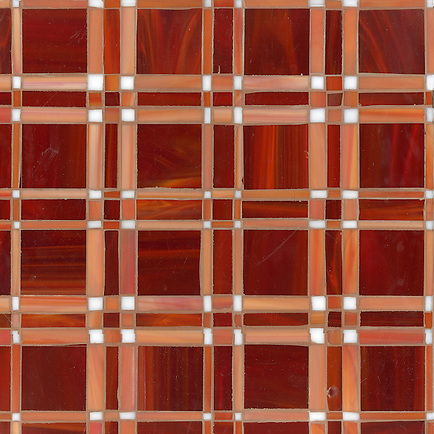 Rory, a jewel glass mosaic field, is shown in Ruby, Sardonyx and Moonstone. 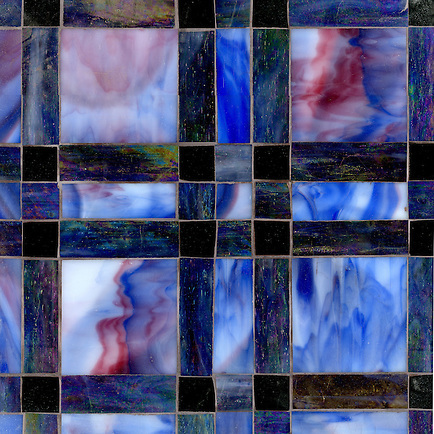 Connor, a jewel glass mosaic field, is shown in Rhodolite, Amethyst and Obsidian. 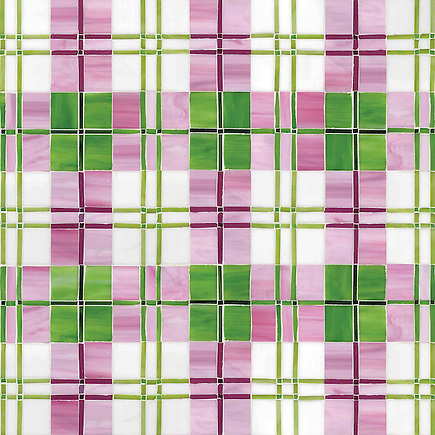 To see more Plaids and Ginghams, click here or click here to see what else is new at New Ravenna Mosaics. Share your thoughts by clicking the social links below.